Calling all Chiliheads…this post is for you (and me)! 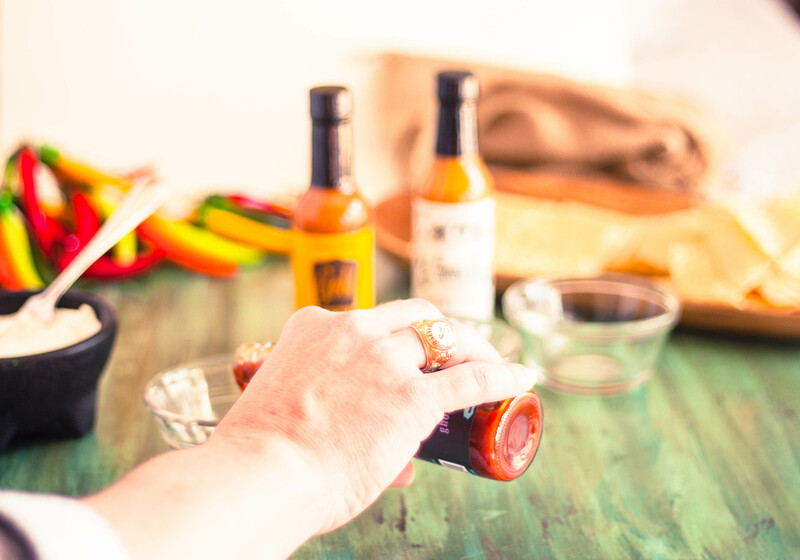 I love spicy foods – all types, usually, the spicier, the better. 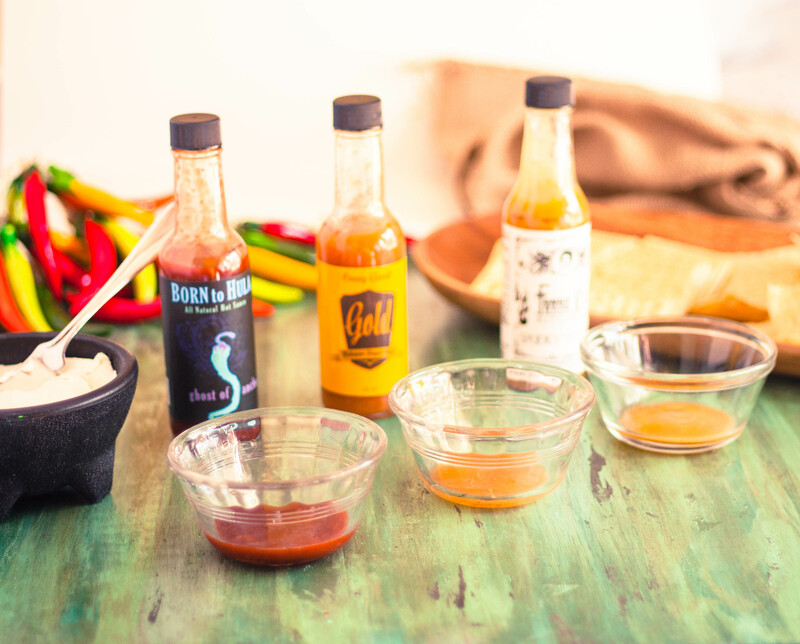 No worries for those who like things on the milder side, you won’t have to sign a waiver to eat these sauces, however they’re not exactly for the faint of heart. 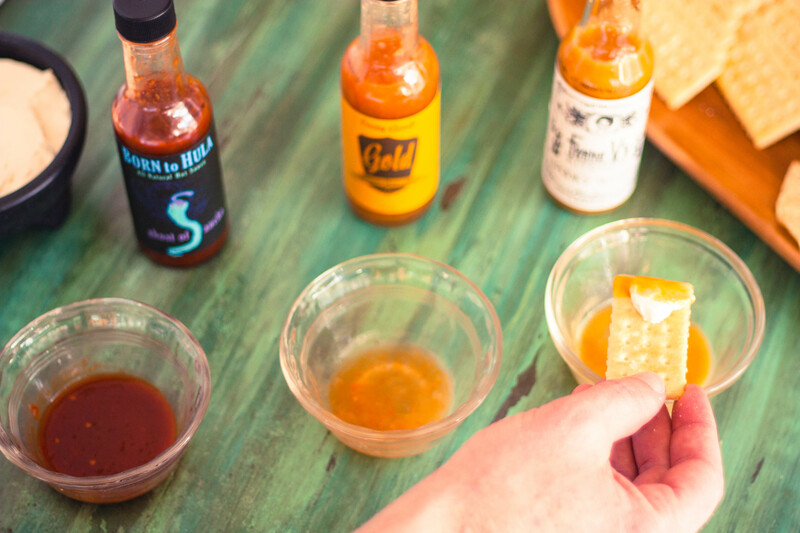 Because my husband and I are hot sauce fanatics and no one type of hot sauce is enough for our table, I reached out to Fuego Box, a hot sauce subscription company that offers small-batch artisan hot sauces shipped straight to you monthly or quarterly. 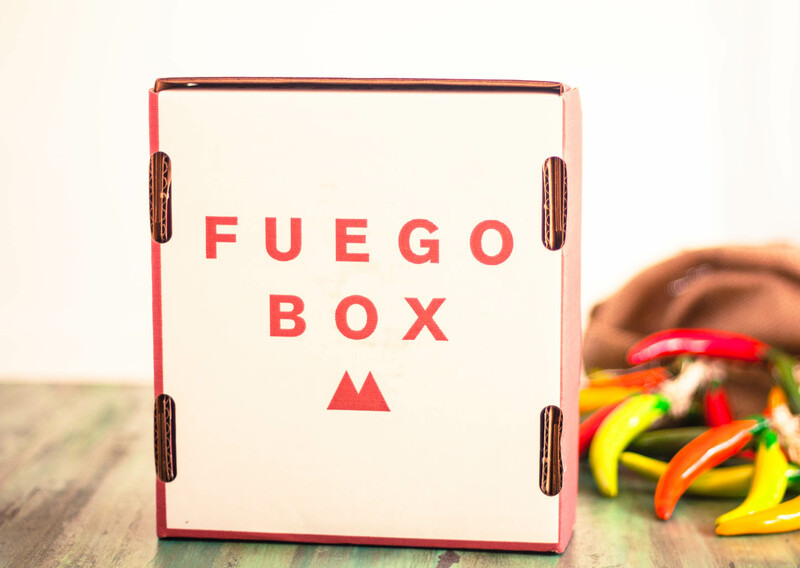 Fuego Box is dedicated to high quality flavor over blinding heat. I love the idea of being surprised by new sauces in the mail monthly (hint, hint). Fuego Box graciously sent me a box of sauces to try out. 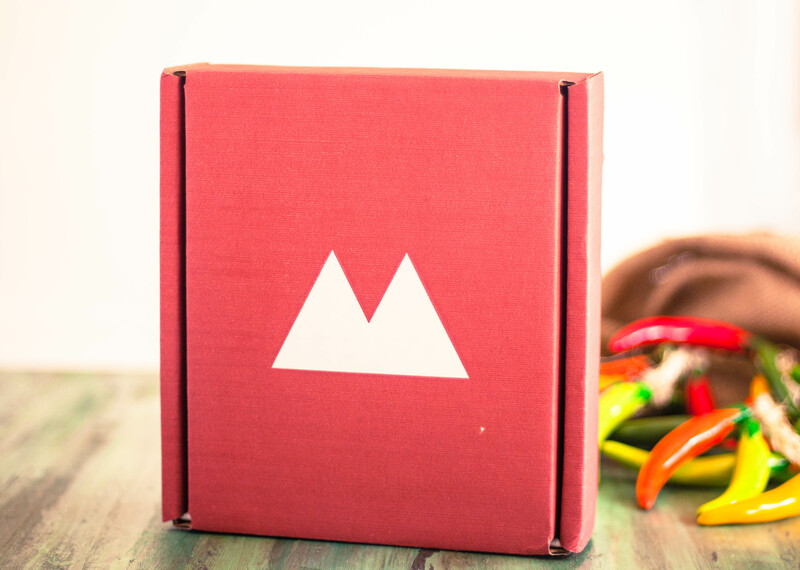 The package came within a week of contacting them and was packaged nicely and safely in their signature boxes. I was super excited to break open the box and was pleased to find 3 bottles of artisan sauces, along with 3 sample packets, 33 drops journal, and a card with information about the sauces and suggested use. Now to the tasting. 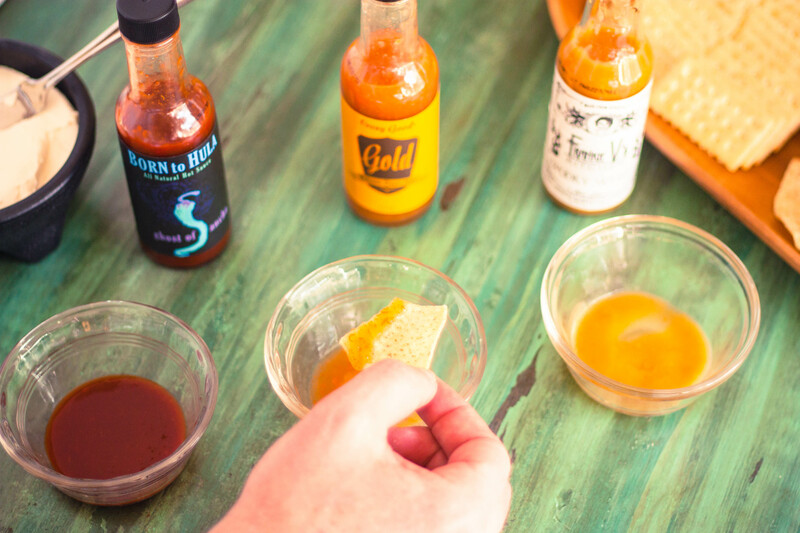 Quinton and I decided to set up a tasting featuring the four sauces we received: Frankie V’s Kitchen Spooky White, Crazy Good’s Gold Habanero Sauce, Born to Hula’s Ghost of Ancho, and Palo Alto Firefighter Pepper Sauce. We of course broke out the tortilla chips, but also decided to give Club crackers and cream cheese a try to mellow out the tasting from time to time. We also had some frozen grapes on hand to give us an icy quench. We eventually poured a glass of cold milk to “cleanse the palate” between sauces and relieve our tongues from the fiery heat. 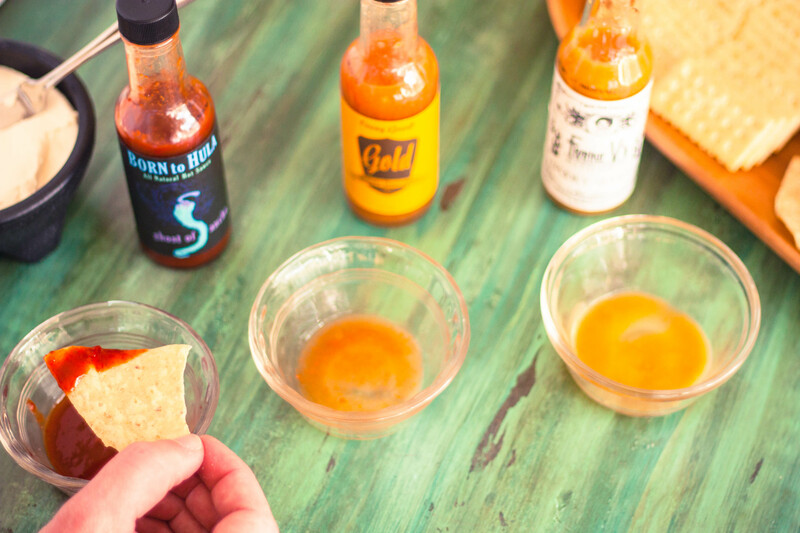 Don’t let this scare you away though, this is just one way to have a mini hot sauce tasting party. The verdict: Quinton and I were divided on our favorites as usual. I will say that we were very pleased with all four sauces and thought they each had good quality unique flavors. Frankie V’s Kitchen Spooky White was Quinton’s favorite with it’s very unique flavors of habanero, mustard, ginger, garlic, onions and infused habanero vinegar. I really liked it too, but was torn with two of the other sauces. Frankie V says to try it on guacamole, burritos, quesadillas, hot wings, nachos, hot dogs, in soups, hummus, egg dishes (I’m thinking a spicy hollandaise sauce over a kicked up eggs benedict), and cocktails. 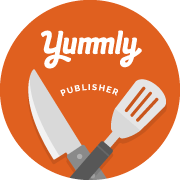 I’ve got a recipe in mind that I can’t wait to try and feature here on Jennifer Cooks – be on the lookout! Born to Hula Ghost of Ancho was my personal favorite – the hottest sauce of the bunch, go figure. I love the smokiness of the chilis and the flavor boost and sweetness of the Ancho chili. To add to the heat profile are the smoked Bhut Jolokia peppers “ghost chilis” that add that lingering heat that, if you’re like me, will make you go into the “can’t stop eating this” mode. I have some recipes up my sleeve for Ghost of Ancho too that I can’t wait to try out. Palo Alto Firefighter Pepper Sauce landed in second place for me. I loved the Mexican flavors going on in this sauce. I could taste chili powder, cumin and paprika. The sauce wasn’t overly vinegary, just great flavor. I will be using this sauce regularly in chilis, taco meat, enchiladas and other dishes. I really enjoyed this sauce! I went to the Palo Alto Fire Fighters website and discovered that all of their proceeds go to charity in the form of college scholarships, which is very cool. Crazy Good’s Gold Habanero Sauce landed in last place for both Quinton and I. While a decent sauce we both agreed that it lacked identifiable flavor and was very vinegary. I will certainly use the sauce, which would go well with collard greens, black-eyed peas and other dishes. 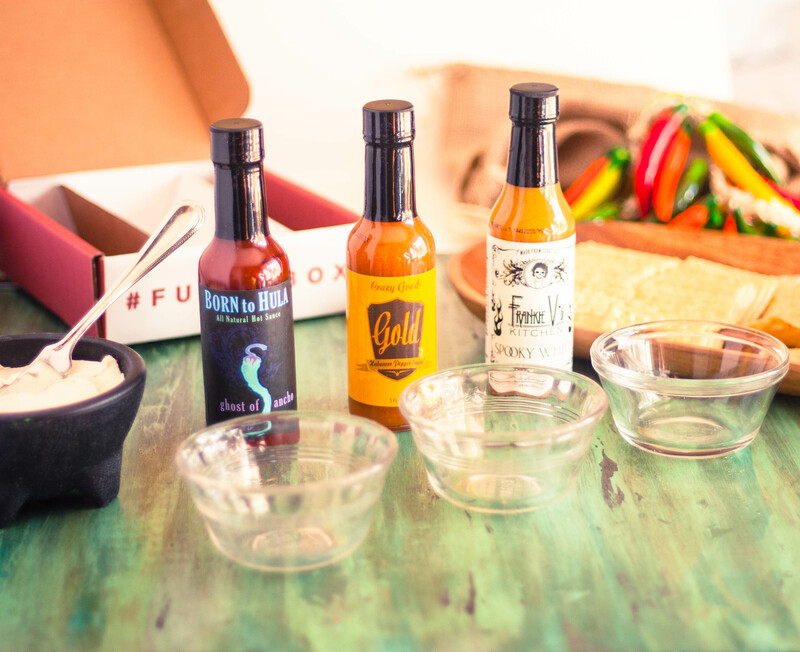 I highly recommend Fuego Box for the hot sauce lover in your life. What a great surprise gift to show up for that special someone! 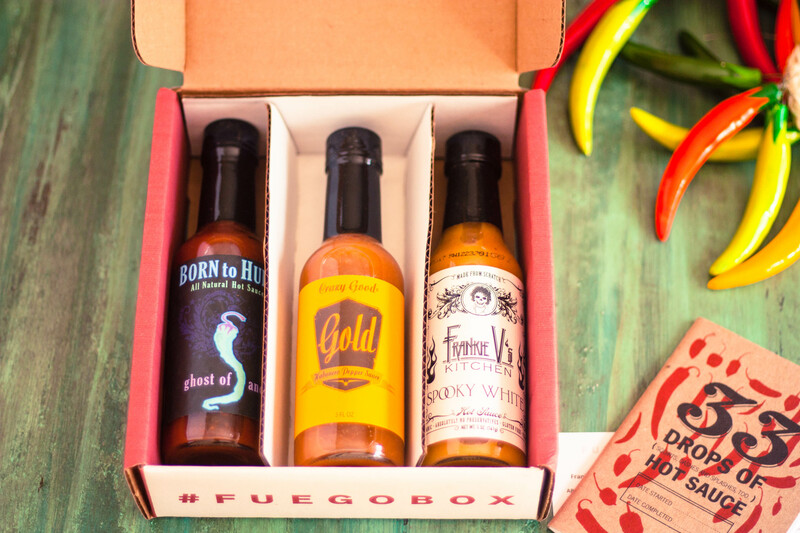 Be sure to sign up for your Fuego Box subscription for yourself or as a gift today! 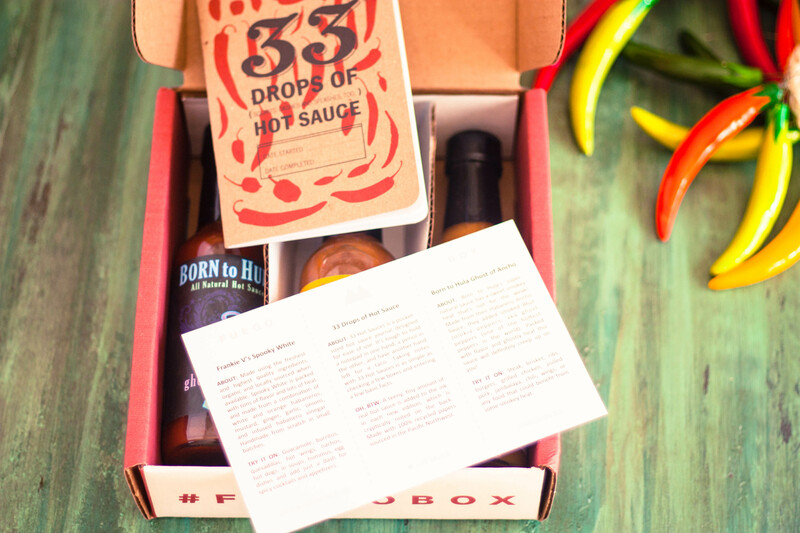 Head over to FuegoBox.co and get sauced! Be sure to let them know JenniferCooks.com sent you.